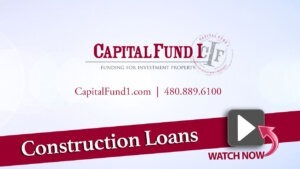 Capital Fund I is able to finance a wide array of different construction projects. Many key members of the Capital Fund I team has made their living in the construction industry and understands the value in bringing a brand new asset to the market. Construction deals are the most interesting loans we offer because of the different ways they can be structured. One of Capital Funds’ strengths is being flexible enough to structure it to fit the needs of the project. General contractors, developers, and investors should get more information about Capital Fund I’s construction financing program and learn more about how it can help make your project come to life. It is important to remember that Capital Fund does not impose prepayment penalties which means we can be refinanced by a long term loan once it is obtained by another source of funds. If you are interested in receiving more information in regards to our construction program please fill out the information on the right or give Capital Fund a call now.